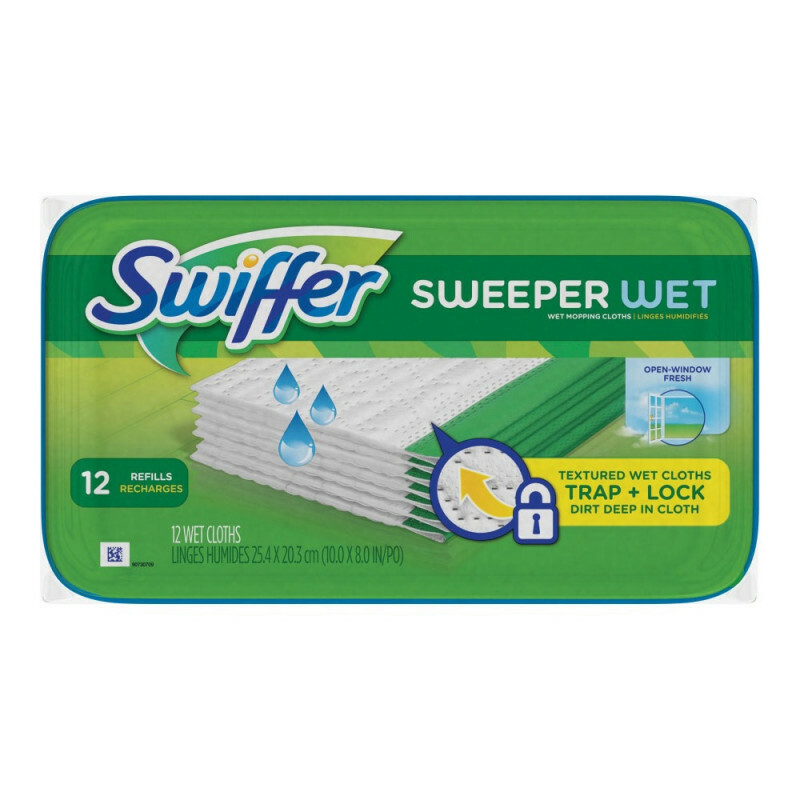 These Swiffer Sweeper pre-moistened cloths are meant to be used with our 10" Swiffer sweeper. Each wet mopping refill wipe is manufactured with a unique cleaning solution work to dissolve tough spots. Never before has cleaning been so easy! The convenient disposable wipes remove dirt and grime, and then can simply be disposed of. Safe for use on linoleum, vinyl, ceramic and finished wood floors. Swipe floors clean and throw wipes away - no rinsing required. For more great cleaning action, please feel free to take a look at our full line of Swiffer dusters. Customers who were interested in the Swiffer® Sweeper Wet Mopping Refills were also interested in the following items. This is a review for the Swiffer® Sweeper Wet Mopping Refills.